Kanthapura is a story that depicts how Gandhi’s struggle for independence in India came to a small South Indian village that follows the caste system. Moorthy has returned from the city and has plenty of ideas to bring about peace in his environment. Summary of the Book Moorthy is young and is back from the city where he learnt of the goodness of non-violence. Gandhi’s struggle for independence has now come to a small village where the people experience the harsh reality of the caste system. Moorthy intends to bring in the independence movement to the village and wants to eradicate the caste system. He works towards uniting the people of the village and creating a nonviolent atmosphere. The determined and idealistic Moorthy fights against the conservative forces to create the kind of place that the Father of Our Nation dreamt of and fought for. The story is said from the point of view of an old woman who talks about the variety of people in the village and the complexities of life in the village. 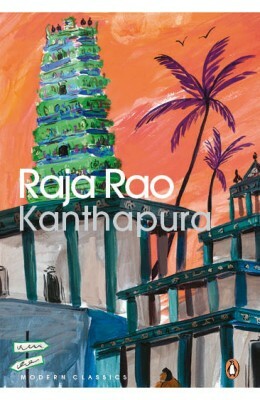 About Raja Rao Raja Rao was an Indian writer of English language novels and short stories. His works were deeply rooted in Hinduism. His writing spans across a variety of genres and has brought about a significant contribution to Indian English literature and world literature. Raja Rao was awarded the Neustadt International Prize in Literature in the year 1988. The Serpent and the Rope made him one of the finest Indian prose stylists and eventually won him the Sahitya Akademi Award in 1964. In 1969, he won the Padma Bhushan and in 2007 he won the Padma Vibhushan.